Paddy Power have paid out on Celtic winning this season's Scottish Premier League title - after only one round of fixtures. The Hoops aren't even top of the table but the bookies have already seen enough to declare the Glasgow side champions elect. Meanwhile, their Glasgow rivals Rangers were held to a 1-1 draw by last season's runners-up Aberdeen. Even though Edinburgh duo Hearts and Hibernian are first and second in the table after three-goal victories at the weekend, Paddy Power's minds are made up. “One game into the Scottish league season and Steven Gerrard has already slipped up," said spokesman Paddy Power. Paddy Power do have previous with this sort of thing. Last season, they paid out on Manchester City to win the Premier League in December - a sound move as Pep Guardiola's side romped to a 19 point success. But back in 2003, things didn't quite go to plan as they paid out on Arsenal to be crowned champions only for Manchester United to win the league by five points. 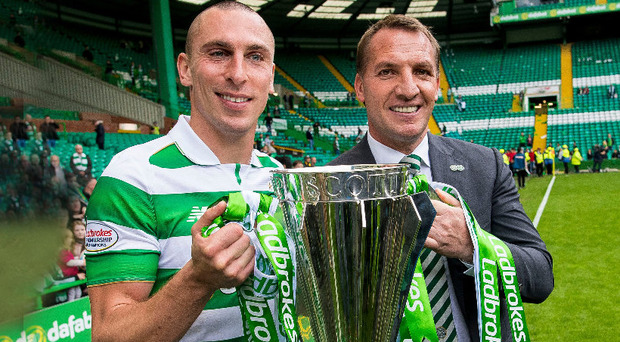 Celtic are already rated at 1/12 to win the title with Rangers a 9/1 shot and Aberdeen 20/1.